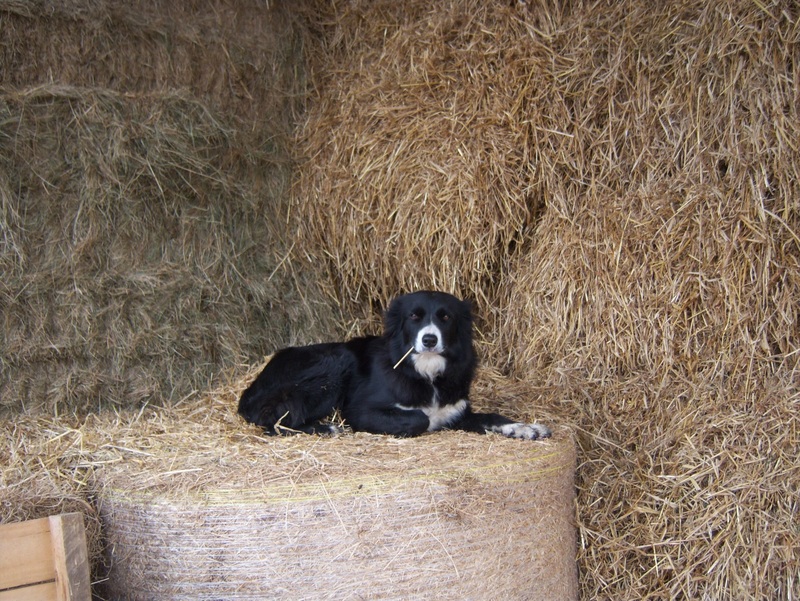 Molly the collie is James Flowers dog, she lives in Somerset on Home farm with 120 cattle and James’ dad John. When did you first get her? I got her as a 6 week old pup from a neighbouring sheep farmer. Has she got a trick in her locker? She’s very quick and agile and likes to jump. And she’s very good at catching a ball, sticks and a frisbee. How does she help out on the farm? She doesn’t really work anymore since we decided to concentrate on the beef side of the farm and sold all of our sheep. However whenever the cows and calves are taken into the farm buildings for any special care they might need she will lie and watch them almost all day every day until they are back in the field again! What’s her favourite thing to do? Her favourite things are rounding up the neighbours chickens, keeping an eye on any calves that need hand rearing and playing with her tennis ball and Frisbee. This entry was posted in Field and Flower and tagged Agriculture and Forestry, Breeds, business, collie, dog, farm dog. Bookmark the permalink.